In December 2003, Bain & Co. introduced a new model to measure customer satisfaction across products and services, called Net Promoter Score. It has become a standard in the market for quantifying customer satisfaction, where you probably came across at your favorite products and services from time to time. Measuring it is simple, where you ask a question to your customers and learn from their quantifiable answer. How likely are you to recommend company/brand/product [NAME] to a friend/colleague/relative? The question and the model are pretty simple, and it enables companies to get customer feedback in real-time, and generate rich insights out of it. Many retail companies, SaaS companies, and mobile apps are using it to measure their customer satisfaction. NPS is the easiest way of giving feedback to businesses for your customers too since they can quickly make you understand by selecting a score. In addition to that, when enhanced with right questions, NPS can mean much more, can give you more insights about the overall set of steps affecting customer satisfaction, and show you how it affects your business growth. NPS is measured on a scale of 0-10 on your customers; and according to the answer you have received, your customers broke up into three main buckets. Score 0–6, Detractor: Detractors are the most important NPS segment for your business; because they are more likely to churn, and they will share their bad experiences with their friends or will talk about it on social media. Score 7–8, Passive: Passives did not dislike the experience, but they need to be listened carefully to understand why they did not become promoters. They can be improved to promoters, which is a growth opportunity for businesses. Score 9–10, Promoter: Success, loyalty, happiness, virality. Promoters are happy with their experiences, and they are willing to share their good experiences with their friends, family or close relatives physically and through social media. Promoters are a brand's organic ambassadors. 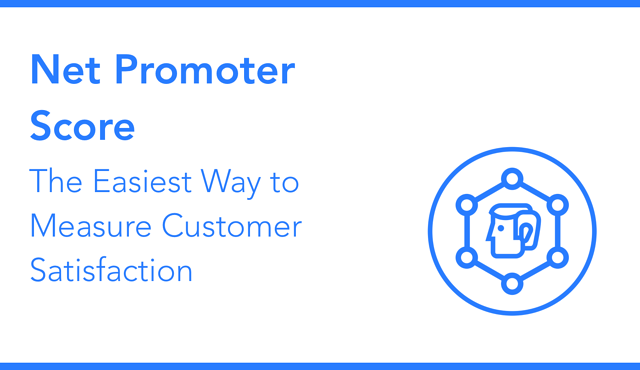 Your NPS score is the percentage of promoters minus the percentage of detractors. You do not include passives in the equation. Many companies have a different number of customer segments, to cluster them according to their interests, demographics, and behavior. This shows us one thing. Not all customers are created equal, and businesses are aware of that. This is why key driver analysis is important. Firmly, key driver analysis shows you which channel, feature or variable is vital for customer satisfaction for each of your segments. A segment of your customers might enjoy the music at your stores but do not like the way your staff behaves, and the music might be the most important variable for them - but for another segment, it might be different. 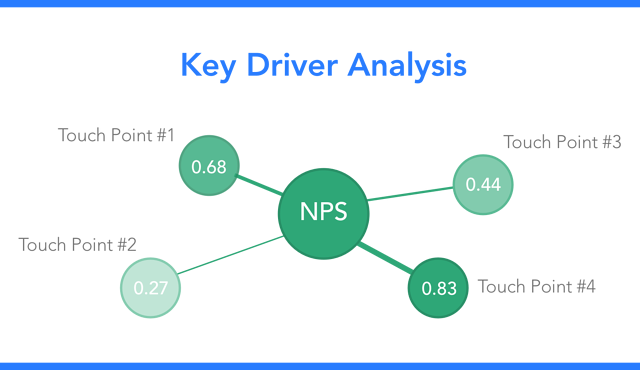 If we only take regular NPS measurement into the equation, we would see the overall experience and not the entire picture - but with the key driver analysis, we can see the entire picture. At each of these questions, your customers will answer on a scale from 0-10, which will allow you to generate more insights on your customers, and on your satisfaction level. You can analyze this data and read it descriptively, but also you can conduct regression analysis on this data to understand the critical variables for your target audience. This to-the-point approach allows you to get the most out of your investments, and develop better programs for your customers. You can see which variable affects the experience or NPS the most for each different segment. Regardless of how you are measuring NPS, that is just the first step. What matters when it comes to customer feedback is, once you get it right, you can understand underlying reasons behind customer experience, and execute smart programs to reduce churn or increase loyalty. Whether it is asking promoters for a referral right in that moment of glory, or getting in touch with detractors to figure out what can be improved, you can act smarter and get the most out of your investments. Using Twentify’s NPS measurement solution, you can measure your NPS on your customers, learn their experience and their comments, conduct follow-up research studies and generate business insights; which allows you to understand where to improve your services. If you want to conduct NPS studies and learn more about how mobile market research works, go to www.twentify.com, check our solutions and methodology. Want to learn how to measure NPS in the retail? Read our article: "The Right Way to Measure Net Promoter Score in Physical Retail Stores."